of the United States Trade Representative (USTR) is challenging BC regulations that discriminate against U.S. and other imported wine by allowing only BC wine to be sold on regular grocery store shelves. “We want customers in British Columbia to have the opportunity to buy our great American wine. The practice of discriminating against U.S. wine is unfair and cannot be tolerated any longer. Our wine producers rely on export markets and they deserve fair treatment, especially by our northern neighbors in British Columbia,” Secretary Perdue said. The BC regulations exclude all imported wine from grocery store shelves, a new and growing retail channel for wine sales in BC. Such discriminatory measures limit sales opportunities for U.S. wine producers and provide a substantial competitive advantage for BC wine. These regulations appear to breach Canada’s WTO commitments and have adversely affected U.S. wine producers. The United States is challenging BC regulations that were amended in April 2015 to permit the sale of wine in grocery stores. The amended regulations provide two options for grocery stores to sell wine. Under the “wine on shelf” option, a grocery store may sell wine anywhere within the grocery store, but only BC wine may be sold on grocery store shelves. 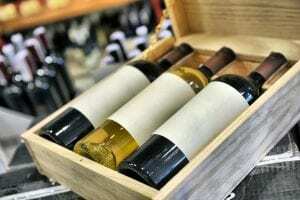 Imported wine may only be sold in grocery stores under a “store within a store” option. Under the “store within a store” option, wine sales must be conducted in a “wine store” that is physically separated from the grocery store, has controlled access, and has separate cash registers from the grocery store’s cash registers. As a “store within a store”, a grocery store may sell both BC wine and imported wine. In 2017, U.S. wine exports to BC totaled $56 million, and U.S. wine had a 10 percent share of the BC market. A number of grocery stores are already selling BC wine on their shelves under the “wine on shelf” option. However, we are not aware of any grocery stores selling wine pursuant to the more costly “store within a store” option. BC’s regulations limit choices and raise costs for Canadian consumers. The United States held consultations with Canada in 2017, but those consultations did not resolve the dispute. Requesting the establishment of a panel is the next step in the WTO dispute settlement process.